I mixed the lye into the water and wow did it heat up instantly! I made sure I had on long sleeves, goggles and was in a well ventilated area when making this! I then heated the olive oil to 100 degrees. 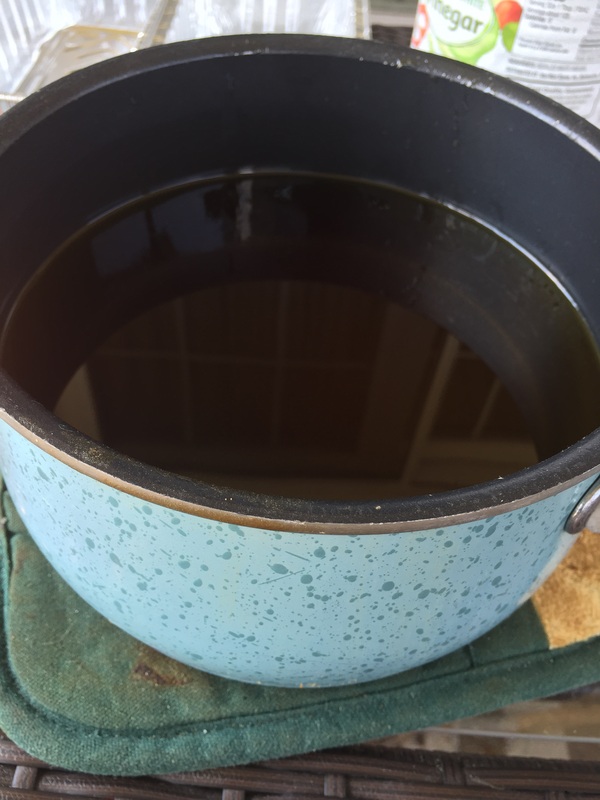 Once the lye and oil were the same temp I started mixing in a big bucket with a stick mixer. 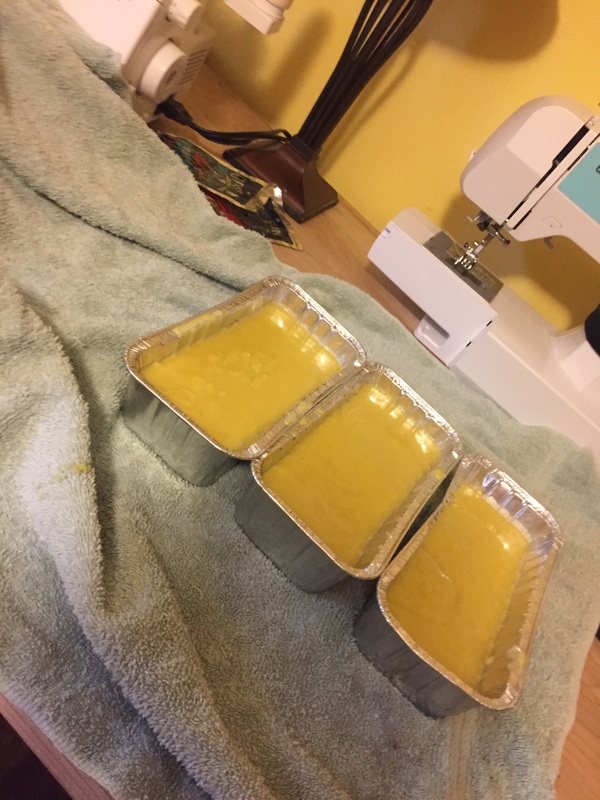 Once I got it to trace, more like a custard, I put them in a mold. (Learn from my mistake and don’t use anything metal. The lye eats away at it!) 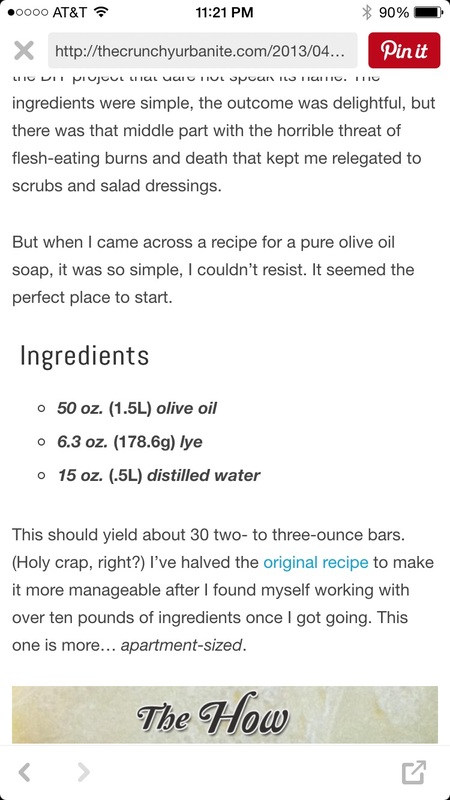 This was also the time that I added the essential oil. I used about 25 drops of orange oil in mine. 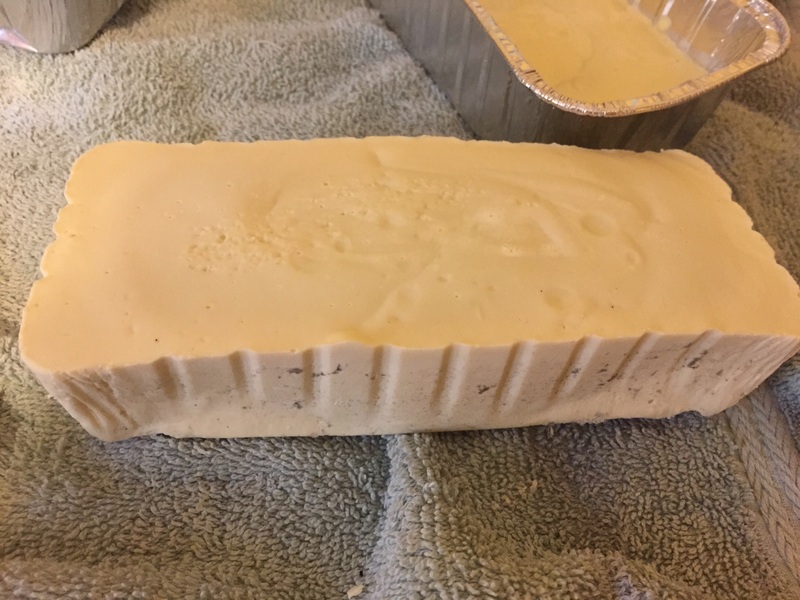 Wrap the soap molds in a towel to insulate it and step away for 24 hours. 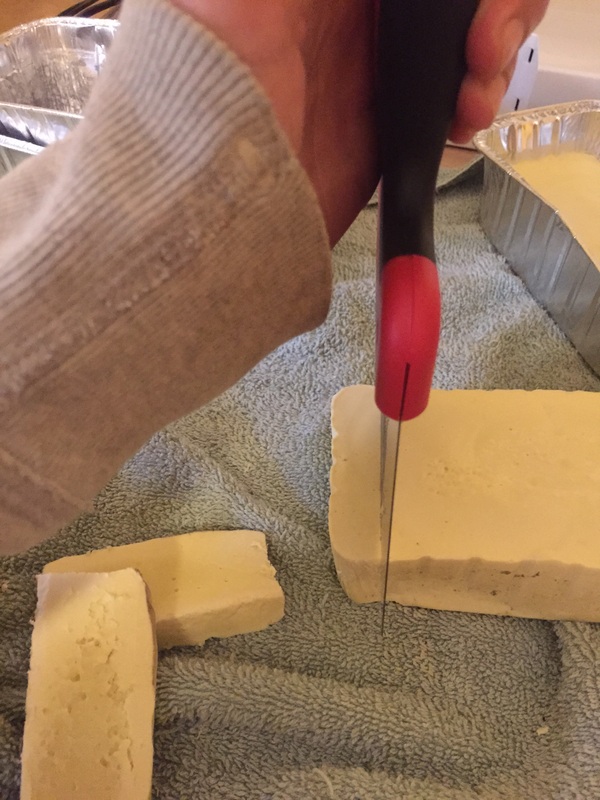 Next day, I cut the soap into the size that I wanted and put them on a rack where they can cure for 6 weeks! 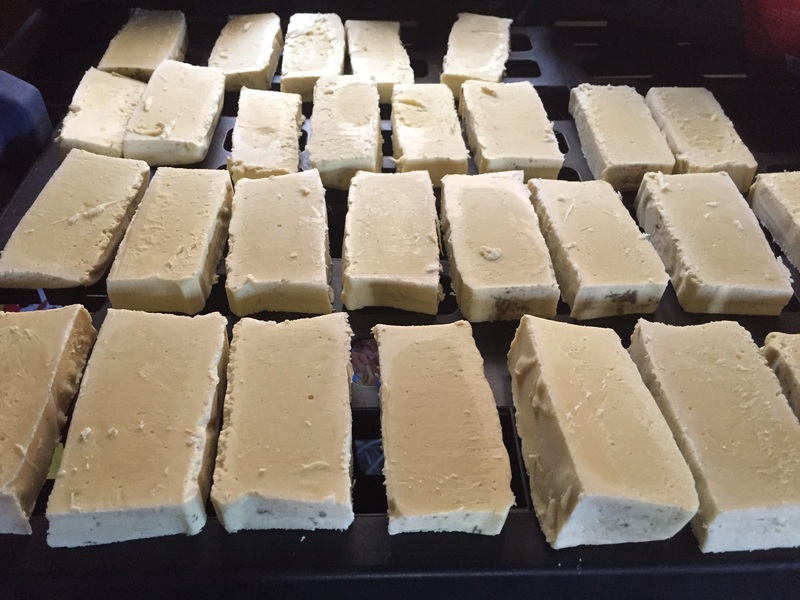 This recipe made me about 34 smaller bars of soap! Remember, this can be dangerous and you must do your research first! Please, please, please be careful when making your own!